While picking or building a consistent deck for the current meta is certainly important, it’s not the core skill required for playing good Hearthstone. Rather, strong decision making is the hallmark of a good player. Cleverly playing around the opponent’s cards, sequencing your cards in the proper order, and knowing when to gamble and when to play conservatively can help win you games you would otherwise have lost and substantially raise your win-rate. It’s no accident that strong players can take decks to legend which weaker players struggle to rank up with. In this article I will discuss the important concepts and techniques required for making good in game decisions, with an emphasis on strategy. I have included several examples for illustrative purposes, and even if they become outdated with the upcoming expansion I hope that you’ll understand the idea(s) behind them anyway. I hope this article will give you the tools you need to start understanding the game better and improve your own plays. I’ll first briefly explain the technical part of making good plays, before moving on to strategical concerns like tempo and resources, sequencing and playing around cards. Lastly I’ll discuss mulligans, RNG and mind games in some detail. As for introductions, my name is Mats and I’ve reached legendary on EU 6 times in a row. I don’t have any real TCG experience outside of Hearthstone, and I had to learn the game the hard way. I hope my analysis will help you improve, and hopefully do so a little faster than I did! Technical play involves being aware of all available plays. You can get better at this by understanding card uses and synergy better. Ideally, you should be able to spot the vast majority of plays, including odd ones like playing a fiery war axe to destroy your deaths bite for the death-rattle. Counting damage is an important skill, not only for setting up lethal but also to see if your opponent can realistically lethal you. Technical skill also involves managing cards in hand, minion trades, sequencing cards in the right order, and paying attention to positioning if you have cards like flametongue totem or defender of argus . If you have issues with finding technical plays, take note if a streamer or tournament player uses cards in a way that you didn’t think of, or try thinking a little longer about turns in your games. Suffice to say that technical skill involves specific knowledge, and practice with a deck should help you get the hang of it. The first part of strategy I will discuss revolves around the question “what is important”. While every TCG player will know about concepts like “tempo” and “card advantage”, just understanding strategical ideas is not enough. You need to learn in which situations certain general concepts are applicable, and then tailor your plays accordingly. Next I want to touch on what it means for cards to increase or decrease in effectiveness (or quality) as the game goes on, and what playing around cards means, using the idea of trying to maximize the effectiveness of your cards. The tempo (or the initiative) belongs to the player who is dictating the play and putting pressure on his opponent. A good way to think of having the tempo is being ahead in time. Tempo mostly manifest itself as a board initiative and/or relevant pressure on the opponent’s life total. Gaining the tempo mostly comes down to mana efficiency, so managing your mana properly is an important skill. Obviously the player who holds tempo at the end of the game ends up winning, so every strategy has to aim to take over the initiative at some point. 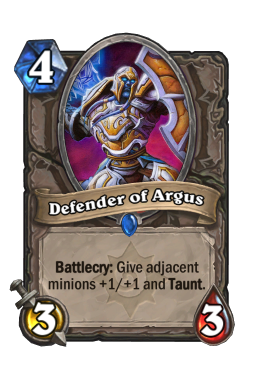 Different strategies tend to do so in different ways: Aggro decks like Zoo tend to play for tempo from the start of the game, while control decks like Control Warrior tend to play defensively until their late-game kicks in. Unfortunately, the general strategy is often very different from the strategy in a particular situation, so it’s important to learn when you should or should not play for tempo. Mana is a resource that lets you get cards into play, so logically using more of your mana should give you more resources to fight for control of the game. So plan your mana curve! You should have an idea of what you want to play each turn, and plan out how you can order your cards so as to spend as much of your mana each turn, as long as some other concern (such as gaining value or responding to threats) isn’t more pressing. 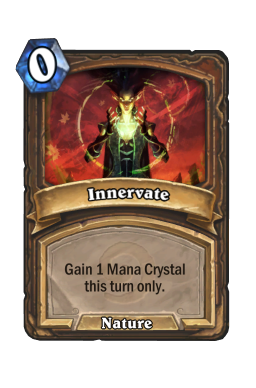 Planning out mana usage is important for the mulligan phase and can require more thought when playing with mana manipulation cards like innervate , wild growth or the coin . A simple example is the decision to coin Wild Growth. 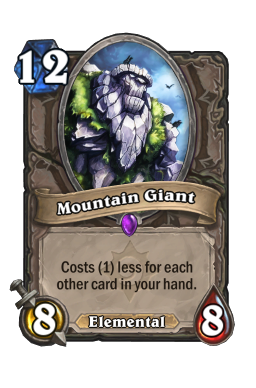 If your cheapest minion in hand is a Chillwind Yeti, you’re probably not going to draw a 3 drop and should save the coin for a turn two Wild Growth. 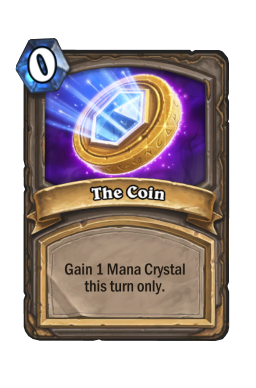 But with a Shade of Naxxramas and a Yeti in hand, it is correct to coin wild growth because you have the 3 mana minion for turn 2. Fitting in extra hero powers into several turns can sometimes be important. 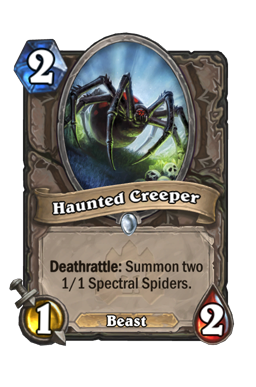 For instance Hunter might want to play low impact minions such as haunted creeper a turn later to leverage hero power damage against a slower deck, using more of it’s mana over several turns. Answering your opponent’s higher mana cards with cheaper cards is another way to gain tempo. 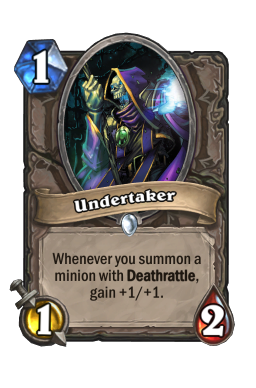 For example, using a 3 mana shadow word death to remove a 7 mana ancient of lore gains you tempo by “trading up”. 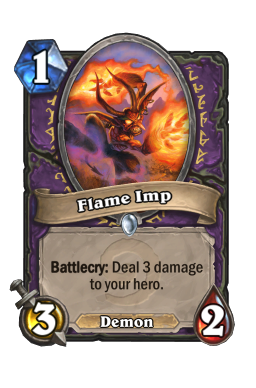 Minions which are more powerful than other minions for the same cost, such as undertaker and flame imp , tend to have the same effect by trading off multiple cheap minions or for a single higher mana cost minion. So instead of just using more of your mana, you’re gaining more tempo from your mana. It’s important not to blindly prioritize one kind of good mana usage over another. 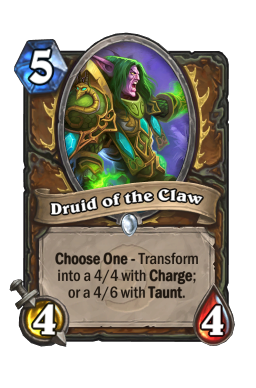 For example, say it’s your 4th turn as Druid and you have the choice between a keeper of the grove or a harvest golem on an empty board. 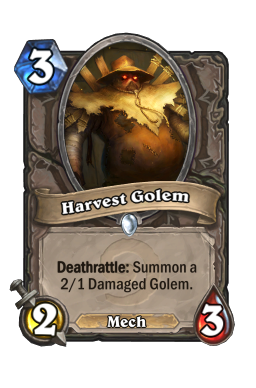 Since the Keeper’s battle cry has little to no effect (and is likely to become better in future turns) and the Golem has better stats, you should play the Harvest Golem, even though it uses less of your mana. So while you should mostly try to be mana efficient, make sure the mana efficient play is actually better than the less mana efficient alternatives. A popular strategic idea from MTG (coined by Mike Flores) is that one player in a given game has to play aggressively (is the “beat down”), while the other player is the “control” player, whose chances are better in the long game and who needs to stop the aggressively player from killing him. 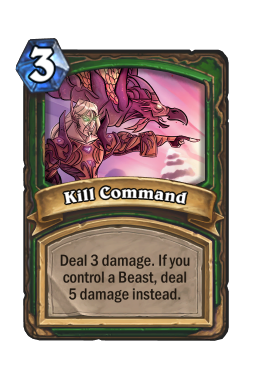 This isn’t always the case in Hearthstone, and sometimes both players needs to attack, as is often the case in the hyper aggressive Hunter or Fast Druid Mirrors. Another example where there is no such distinction is in slow control mirrors, where neither player may be inclined to push before an opening presents itself. That’s not to say that this isn’t a useful concept, but that we’d like to formulate it better to make applications more clear. My best try was this: “If one player holds inevitability (the control player), then the other player needs to play for tempo (is the “beat down”). Having inevitability means that, if the game goes long, you will most likely win. Inevitability typically comes from either a card advantage, higher value cards, the ability to outlast the opponent’s win condition or an unstoppable attack on a player’s life total. It can still be correct to put pressure on with inevitability (or when neither player holds inevitability), but the concept is just supposed to tell you when you are forced to be aggressive. Let’s consider some examples to make this more clear. In Priest vs Hand-lock the Warlock Giants decks is likely to win the slow games due to its many powerful minions and lord jaraxxus . 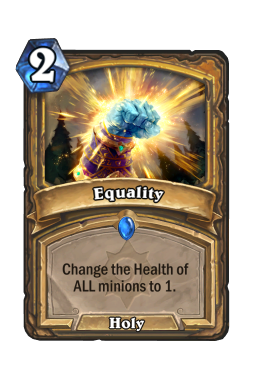 So Priest needs to keep up relevant board pressure, provided that Thought Steals aren’t ridiculous enough to give the priest a chance in the long game. In the Shaman vs Hunter match up, Shaman mostly wins by first gaining board control, and then pressuring the Hunter out of the game while maintaining tempo. 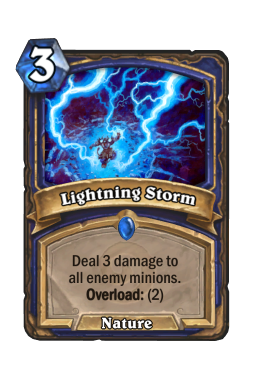 In the first part, Shaman is the control deck, since a Hunter’s early board pressure can win the game if left unchecked. 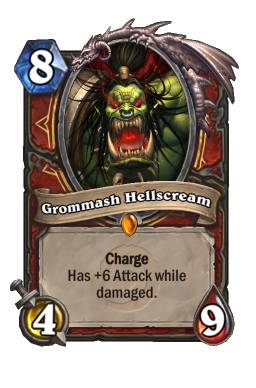 Also, Hunter needs to do enough damage to the Shaman to allow for a burn kill with steady shots and kill command . However, once the Hunter does significant life damage to the Shaman, a weird role reversal happens. 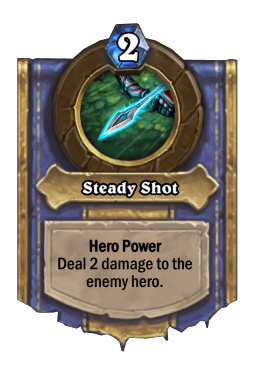 Suddenly Shaman needs to kill the Hunter quickly, eventually the Hunter’s hero power will close out the game with its continuous burn (we say Shaman is on a clock). 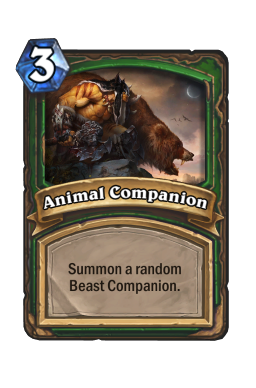 So it’s very possible for Shaman to become the beat down deck and for Hunter to have to control the game. 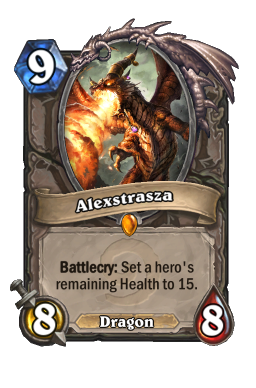 In the Warrior vs Priest control match up, it often happens that a turn 9 alexstrasza allows Warrior to flip the switch into aggression mode, hoping to burn the Priest out with a combination of weapon swings, minion and ragnaros the firelord hits, and of course an activated grommash hellscream . This plan is often decisive and is a strong course of action even if the Priest doesn’t hold inevitability. You shouldn’t play for tempo when it doesn’t gain you anything, when you’d be overextending into something, or when the drawback is too high. 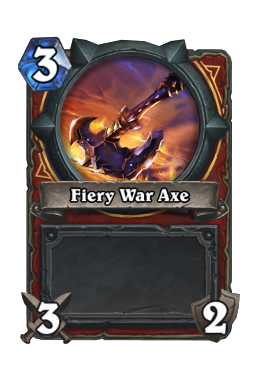 A good example of the first is when Firebat held a second flame imp in the final turns of his zoo game against Dtwo's warrior in the Blizzcon semifinals. 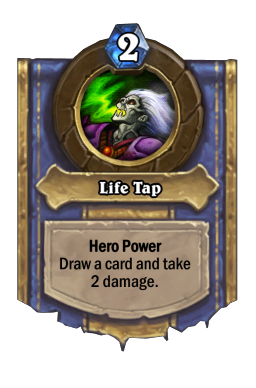 Since his board represented lethal anyway, he figured that all the Imp would do for him was to sinister strike his own face, and make him slightly more vulnerable to brawl. As for overextending, as long as you’re aren’t desperate enough to hope your opponent doesn’t have a specific answer, playing around the opponent’s cards is normally important (taking probability into account). Lastly, if you’re supposed to be playing for some sort of resource advantage, then sacrificing these for a short lived initiative can come back to bite you. You also want to be careful about how you use your initiative, and check that what looks like a powerful initiative to you is actually as strong as you think. A classic example of the first is the decision to go for a burn plan, in which you go for face damage, or a board control plan. Sometimes only one of these objectives gives you a chance to win the game, so you need to learn to judge which is going to help you win the game. If you can feasibly pull your opponent within lethal range, or if you know you can’t maintain board control, you should consider trying to burn your opponent out. If your opponent has (or is likely to have) the means to pull out of lethal range, then going for burn can be another form of overextension that can cost you the game. An example of the later is a shaman’s board full of tokens and totems against a control warrior. 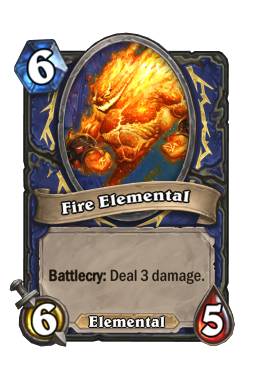 Even though the shaman’s board control may look impressive, it might not be representing enough damage to put the warrior under pressure. Sometimes an impressive looking board can just end up being easily swept or doesn’t do much at all. If you can’t win a game by having a significant time advantage, you need to have more of a relevant resource. In Hearthstone, having more cards in hand and in play is the most common resource advantage. The idea is that, as long as your cards trade reasonably well, you’ll end up with cards in hand while your opponent has to rely on top-decks. We call this card advantage. Card advantage is important when neither player has a powerful enough tempo lead to close out the game, in which case the game normally comes down to who runs out of resources first. You gain card advantage either by trading less of your cards for more of your opponent’s cards, or by drawing more cards. The former is referred to as “gaining value”. For example, when a fire elemental takes out an Earthern Ring Farseer with its battlecry and then forces a Siphon Soul to remove it, we say that it traded “2 for 1”, i.e. your opponent lost two cards to your one card (here I ignored tempo factors like mana cost or the healing effects). Sometimes one side’s cards are likely to gain so much more value than those of the opponent’s, which can mitigate a card disadvantage. 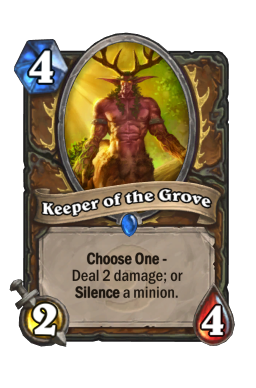 For example, even if a Zoo player has more cards in hand and in play than a Control Warrior, we would still be inclined to say that the warrior has far better chances in the long game, since the warrior’s minions are likely to gain more value. 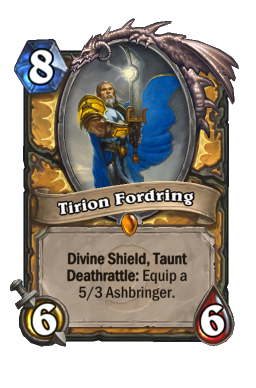 Although Paladin control has weak card draw options, it’s high value cards like tirion fordring and equality give it a good chance against other control decks. 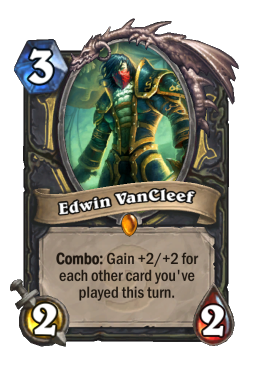 The deck that gains more value with its cards is going to be left with more cards when both player’s decks are exhausted, and so should win the fatigue war. For example, in the Priest mirror, if neither player had explosive enough a start to beat the other down (like Injured Blademaster Circle on turn 3), the match up becomes a battle for card advantage, and if it comes down to fatigue the player who got more value (not necessarily the player who drew more or drew faster) will win. So when you can identify that the game is going to fatigue (or when the match up tends to go down that way) you should probably play for value. Just keep in mind that pure card advantage is more important than just value in basically any other situation. Card draw is useful not only because it gains card advantage, but also because it gives more options and digs for specific cards. Some decks have so strong a draw mechanic that they can easily gain card advantage. It’s difficult to keep up with the card draw monsters Hand-lock and Miracle Rogue, so you would either have to out-tempo or out-value these decks. Being starved of card draw can really cripple decks. If a Warrior’s acolyte of pain get silenced or Miracle Rouge’s gadgetzan auctioneer turn doesn’t draw enough cards, it can cost those decks the game. 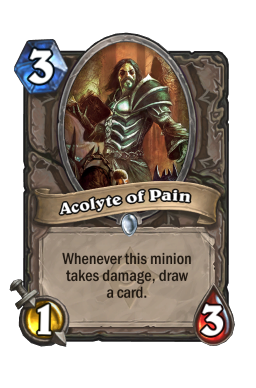 So sometimes it’s appropriate to be careful with your draw cards, and sometimes it's important to prevent the opponent from drawing (by silencing a warrior's acolyte of pain, for example). Hero powers are a sort of resource too. If you can identify that getting more out of your hero power is going to be important, then you might want to prioritize fitting hero powers into your mana curve over low impact cards. This mostly occurs when playing classes with powerful hero abilities, such as Hunter and Warlock. We’ve already discussed how fitting in more Steady Shots into your turns can use more mana over more turns, but it could also gain a Fireball’s worth of damage to the face. In this way maximizing hero powers can sometimes give you more “cards” in total. Lastly, it’s also possible to trade life for value. This mostly happens with weapons and life manipulation effects like life tap , flame imp and zombie chow . It’s obviously great to gain extra value if life totals don’t matter. 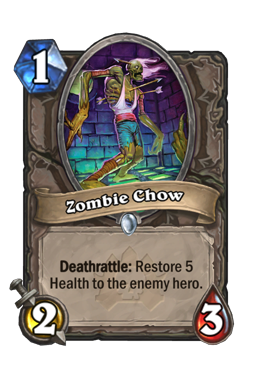 But if doing so would put you in risk of dying (or possibly pull your opponent out of lethal range with Zombie Chow), then it might be too great a risk for too little reward. Again it is dangerous to play for value for when tempo is more important (and vice versa). Life totals can also sometimes be an important resource in their own right. The most prominent example of this is Hand-lock, a deck which can gain an advantage from lower life since it triggers molten giant . 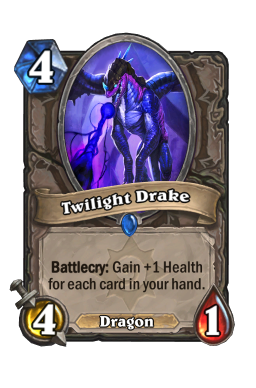 Similarly a higher number of cards in hard can be an advantage given that it can trigger mountain giant and twilight drake , or a disadvantage when faced with possible overdraw. It looks like we’re going to see cards like Goblin Sapper and Clockwork Giant further affect this “resource” in the future (even if only in unranked!). So we’ve discussed the two relevant types of advantages, namely being ahead in time (tempo) and being ahead in resources such as card advantage. We noted that this means that you should play according to whatever is important at a given point in the game. But how does this translate into the language of sequencing cards, which is what a hearthstone game essentially comes down to? I’ve found that a useful method to help with card sequencing is to ask whether a card or set of cards is likely going to get better or worse as the game goes on. By better or worse I mean relative effectiveness in terms of resources or tempo. You could also call it card quality if you like, but it is important not to confuse it with value, a card advantage specific term. Basically if a card is only going to get worse, you should be inclined to play it out sooner rather than later. If a card is likely to get better, then holding it back can be better. Of course you want to see if you have the time to play all the cards in your hand over the course of the game, and if you can’t, then you should probably try to make the play that is most effective each turn regardless if some worse cards never see use. Other times the game is so slow that you want to squeeze the most out of each card. So you want to maximize the effectiveness of your cards over however many turns you have available to you. This of course also depends on the cards both you and your opponent are likely to play, so you should know the typical cards and decks for each class reasonably well. Let’s consider a few examples to illustrate this method. Say you have the choice of playing a sludge belcher or a loatheb as Priest against a Miracle Rogue on an empty board. If they Rogue is at a comfortable life total, you might consider leading with the Sludge, given that you will need an answer to the eventual Gadgetzan turn in the form a Loatheb. Here the reasoning is that the Sludge’s effectiveness is unlikely to improve, and might even become worse given a series of sap draws from the Rogue. The Loatheb’s battlecry is already is only going to get better, as it can deny a concealed Gadgetzan, which can easily turn a game around. The important idea here is that some situations require specific answers or specific cards, and knowing when to save cards for these often comes with experience of a match up. 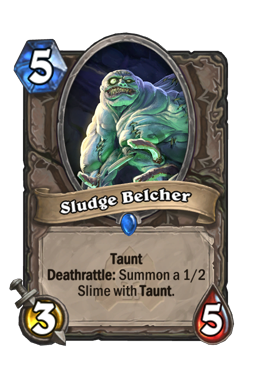 The downside is that the sludge deals 2 less damage, and that we could lose out on this by not playing the Loatheb first. 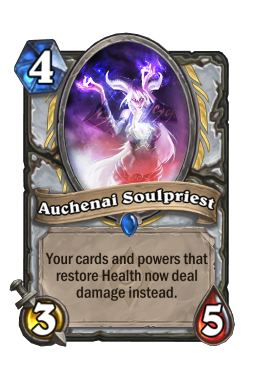 But since the Rogue is at high health and we’re playing Priest, which has limited burn options, the long term plan is likely to be better. 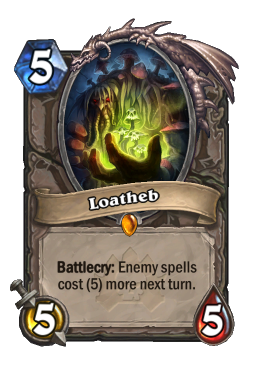 If we were playing Druid or Hunter instead and the Rogue was low on life, then the Loatheb could represent a stronger play due to a possible lethal set up. Note how the possibility of the game being over soon changed our objective from getting the most out of our cards over several turns to packing more power into a few turns. 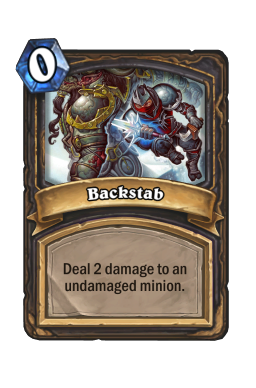 Cards can also become better or worse based on other cards they combo with. 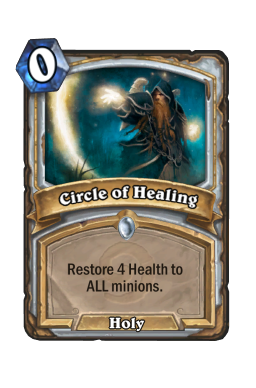 A circle of healing can be so good in combination with auchenai soulpriest that you often want to hold them both until you can pull of the combo. Similarly Miracle Rouge player are often hesitant to use up their spells before they get a chance to combo them with Gadgetzan. An example of a card that often gets worse is Lord Jaraxxus in Hand-lock. His biggest weakness is that you have to spend 9 mana on him, essentially not affecting the board state for a whole turn. 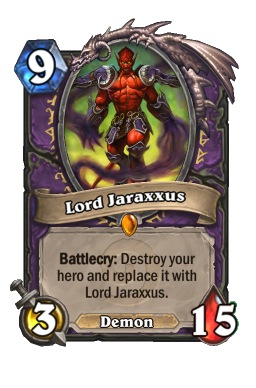 So if you have clear board or even a board lead that could disappear soon, you should consider playing him, so as to avoid Jaraxxus becoming unplayable later. 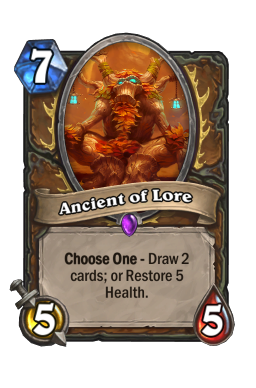 There’s even the consideration that the sooner you get Jarraxxus out the sooner you can get 6/6s for 2 mana every turn. 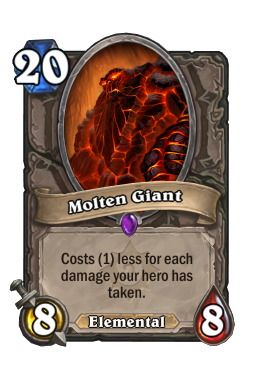 In the same deck, Molten Giant is card that often gets better. You sometimes get the chance to play him for less mana later, so you might want to play out other minions first (of course having an 8/8 right now can also be a priority). I’ve found a useful trick is to compare a line of play with something else I’m familiar with to provide clarity. As Midrange Druid I might say that my decision to attack face with my Yeti and Keeper would net me a Fireball’s worth of damage to the face. Another example is that playing out a Cabal Shadow Priest without its battle-cry is like playing a 6 mana yeti. When comparisons like these are available they can help make you more objective about the relative strength of a certain play. Sometimes a card is so important for you to win the game that you can’t afford to use it for any other purposes. 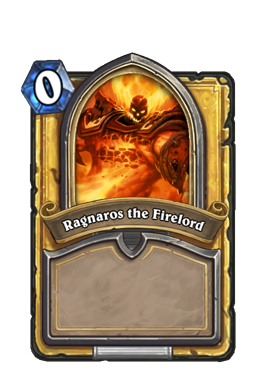 These cards or combos are referred to as “win conditions”, and can range from a powerful late game legendary like Ragnaros for control warrior to a Alexstrasza into burn spells combo for freeze mage. Sometimes a win condition is so important that you can’t break it up to play for some value or tempo, because those won’t win you the game. For example, in control warrior vs miracle rogue, the rogue player really doesn’t want to draw too few cards of his gadgetzan, since running out of cards can easily lead to losing the game. A similar situation arises if you need to burn your opponent out to win and can’t think too much about unnecessary board control or value, as we discussed earlier. So if only one thing matters, then making your cards fit that goal better is a priority. If making your cards better benefits you, trying to make your opponent’s cards worse should also be one of your aims. This is the idea behind playing around your opponent’s cards. If you suspect your opponent is holding a board clear, then you can play fewer or more resilient minions to deny that card value. If you’re afraid of a kill command finish, you might make an anti-value play to protect your life total. 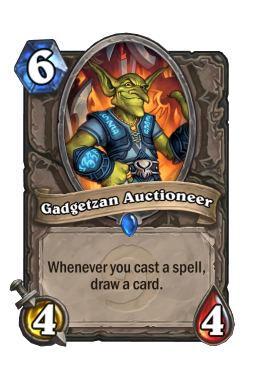 You might play around Gadgetzan Auctioneer by keeping a Loatheb in hand. And so on. To play around cards you need to know technical details like what cards are run in certain decks in the meta, and how to go about making them worse. The strategy part revolves around determining whether you should be playing around a given card or combo at all, and if so how much time or resources you want to devote to playing around it. Your general technique in these situations should be to consider the likelihood of the opponent having a certain card, if the potential rewards justify the risk and whether your opponent can actually play that card (Does he/she have the mana? Is he/she likely to be holding the card?). Here are some general reasons to play or not to play around cards: You want to play around cards if: -You have the luxury to. Generally, if it doesn’t cost you that much, then you should play around relevant cards from your opponent. -There is a high risk to not playing around a given card. -Your opponent is likely to have the card, either because he has drawn a lot of cards, hasn’t played a copy of that card yet, or has been making plays that indicate that he/she has a certain card. -It fits well into his/her curve or he/she has the mana. You want to not play around cards if: -You can’t afford to. Either your path to victory is so narrow that you can’t afford to digress, or playing around the card will come at too great a cost in either tempo or resources. -Not playing around the card doesn’t increase the risk of losing. Either the card is inconsequential, or it’s so good that it will destroy your chances of winning whether you play around it or not. Alternatively, not playing around the card could net you a noticeable benefit if he doesn’t have it (but don't be too greedy). -Your opponent is unlikely to have it or doesn’t have it. 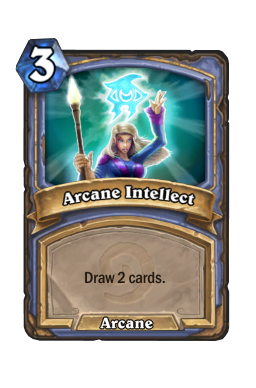 Perhaps he/she has already played two copies of the relevant card, played one copy of the card (making him less likely to have the second copy), hasn’t drawn much, wouldn’t have mulliganed for a certain card (this logic applies to the early game), or had a very good opportunity to play it and didn’t (so he likely doesn’t have it). -He/She doesn’t have the mana or it doesn’t fit his/her curve. Accounting for your opponent’s options is a very important and often complicated part of play. I’ll consider some basic examples, although these are definitely not exhaustive of the kinds of reads you could make. 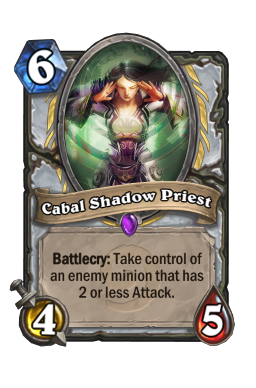 For example, if you’re playing against Priest you will want to not have a minion with 2 or less attack out by his turn 6, because doing so would allow his cabal shadow priest to gain value and some tempo. You might also try to force your opponent to play the cabal off curve if he/she wants value from the battle-cry, or put enough pressure on (say with Savanna Highmane) to deny him the time to steal your minions. Of course sometimes you need to blindly hope he doesn’t have it. Remember that the best play isn’t always the one which ends up winning, but the one which is most likely to win given what you know. Another, less specific example is that if your opponent didn’t play a clear out against your sizable board, then he might not have one, so you might be more comfortable extending into the board. However, your opponent might be playing greedy or waiting for a better opportunity, so you watch out for suspiciously passive turns or moves that suggest setting up for a clear. Also remember that if your board is already threatening enough, you might not need extra minions to close out the game if he does not clear, so you might not need to throw out more minions. Also remember that you should abandon the “don’t overcommit into clears” mentality when your opponent has used up all his clears, or his/her deck didn’t run clears in the first place (like standard zoo). Playing around possible lethals from your opponent is certainly important, and counting possible damage to your face next turn is a good habit. However, sometimes the lethal attack is so unlikely that you should not play around it unless you have very special reason to. Something like Al’akir The Windlord double Rockbiter Weapon or Force of Nature Innervate with double Savage Roar generally doesn’t happen often enough to justify playing around it, unless you are so far ahead that you will win anyway. Many ideas we’ve already discussed apply to mulligan phase as well. Generally mana efficiency (as in having a good curve) is normally the greatest concern, but sometimes you want to keep more expensive cards that match up well against the opposing deck, or throw back cheap cards that are especially bad in the match up. 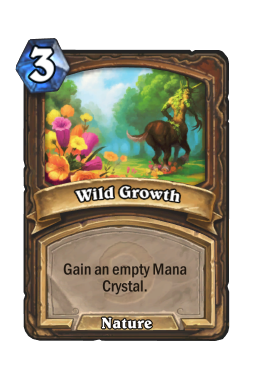 Sometimes a card is so important that you should throw back most cards to get it, such as Wild Growth and Innervate in Druid. 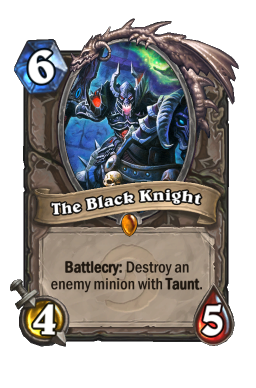 An example of a good expensive keep is Loatheb (in any midrange or control deck) against Miracle Rogue, since the card is extremely swingy in the match up. Lastly, keeping cards can depend on whether they fit well with the rest of your hand, or if the number of cards your opponent mulliganed gives you relevant information. Having a backstab or coin in hand makes the si7 agent a stronger keep, for example. If your opponent could be playing aggro or control and you don’t know which, you can try to guess based on their mulligan (aggro tends to keep more cards), or mulligan for aggro since that match up will likely punish you harder for a bad draw. Randomness in card draw is part of any Trading Card Game. We discussed earlier how to sequence our own cards better and account for what our opponent could have. 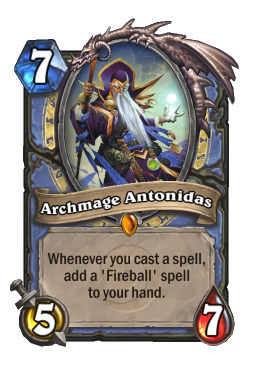 But Hearthstone has a bunch of in game dice rolls associated with cards like Ragnaros, animal companion and knife juggler , which can potentially swing the game with their random effects. While this can be frustrating and unfair at times, RNG (the term derives from “random number generation”) requires skill to play around and adds some extra complexity to the game. Generally you want to work around RNG by either planning out the potential risks vs the rewards or by maintaining flexibility. You do the former by counting up the possibilities for a random event, let’s say a Ragnaros hit, and then thinking about how good or bad these outcomes are for you. If the good results are more likely than the bad ones, or are more rewarding than the bad outcomes are punishing, then it could easily be better to go for it. So in the Ragnaros example, if Rag going face is suboptimal but not terrible, but it hitting the single minion is really good, then the reward seems to outweigh the risk. You maintain flexibility by letting the uncertain elements play out before you commit yourself to an action. 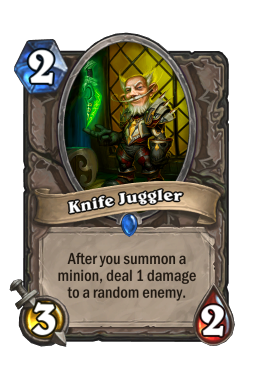 For example you should ideally trigger your knife juggler’s effect as many times as you can before attacking (provided you've already maximised the chance of a good outcome and thought about risks vs rewards). In this way you reveal some of the uncertainty and gain information with which to plan out the rest of your turn. 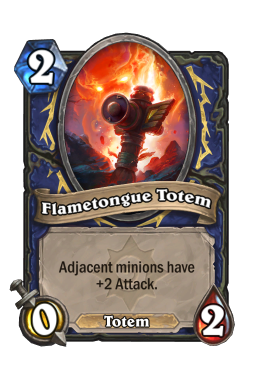 If you were going to totem up anyway during your turn as shaman, then you might as well roll the totem first to see what you get. This can apply to other types of uncertainty too. For example, if you draw cards before playing out the rest of your turn (baring discard effects), then you have some extra options for the rest of your turn. Similarly you often want to gain as much information about a trap as you can before you commit to triggering it. If you can feed your opponent information that makes him play worse, then this can be to your advantage. Mind games often involve playing as if you had something else in the hope that your opponent play into the cards you actually have, or trying to bait your opponent into making a particular play you can exploit. While they can be effective, mind game plays aren’t really something you should focus on, especially if your fundamentals aren’t that solid. That being said, let’s consider some examples. 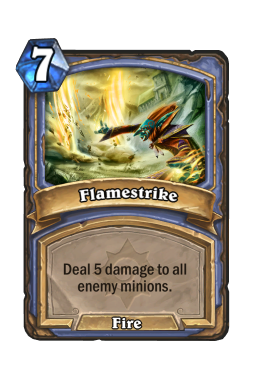 When playing Mage control decks in arena or in constructed, broadcasting flamestrike by hero powering a minion down to 4 life may compel your opponent to play fewer minions, and you don’t even need to have the Flamestrike in hand. A nice example of baiting occurred at the end of the final game between Kuhaku and JAB in the Blizzcon Americas’ Qualifier. In the Druid mirror, JAB gained an early lead and quickly whittled his opponent’s health down. 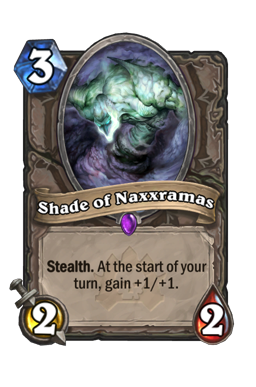 Eventually JAB had a small but concealed Shade of Naxxramas staring down his opponent on an otherwise empty board. JAB chose not to attack, which made it look like he was setting up some sort of burn plan, enticing Kuhaku to taunt his druid of the claw straight into JAB’s the black knight . While I’m not entirely convinced that this was the best play, I think it was a pretty clever move regardless. I hope that the ideas discussed in this article help you improve your play. Please let me know if you like this kind of wordy strategy article via-up votes or comments, and let me know if you have questions or requests for further guides. I should mention that this guide was written from the perspective of a mainly constructed player, although many of these concepts should apply to arena too (except there resources tend to matter more).